Instagram is photograph and video sharing application and is particularly popular with children and teenagers. For further guidance of how you can stay safe when using Instagram, how to report any issues or how to deactivate your account click here. Internet Matters also include a ‘how to’ guide for parents, click here to access it. Misical.ly allows users to create, share and discover new videos. It allows users to create short videos of them dancing, performing or lip-syncing to music and share them online via their app. As with other social media sites users can set their profiles to private or public. You can access more information about musical.ly by clicking here. The whole school enjoyed an anti-bullying play. 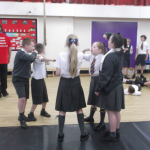 Y6 were lucky to then take part in a workshop focusing on cyber bullying. 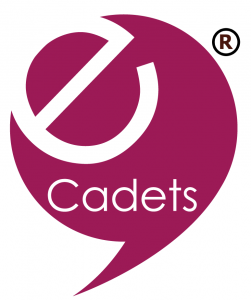 We are now part of the eCadet family! Knowsley has launched an anti-bullying campaign in all schools across the borough. Posters are on display and postcards will be handed out to pupils to raise awareness of the issue of bullying while ensuring pupils know Knowsley is a safe place – a ‘place to be yourself’. It’s important our children are confident to stand-up to bullying, which can be verbal, physical or cyber-bullying. Anyone affected by bullying is urged to speak to a member of staff at school, ring the School Inclusion Team on 443 5137 or report it to Bullybusters on 0800 169 6928. The campaign is part of Knowsley’s Anti-Bullying Strategy, which sets out how the borough is a safe place for our children and young people, achieved through joint working with the council, partners and the community. On their website they have advice and information for children, parents and carers. Think u Know – A website for parents, children and teachers with games and information about e-safety. Child net – Giving information and advice about e-safety and how to report abuse. Kidsmart – A website with information, videos and games on e-safety for children and parents. Parent Info – An excellent esafety website. It also has a link to children’s language and their abbreviations, it makes for interesting reading and all parents should be aware of the common ones.